Fall is my favorite season. I love the crispness in the air after the long hot summer months. I love the beauty of the changing leaves. It just makes me feel so peaceful. 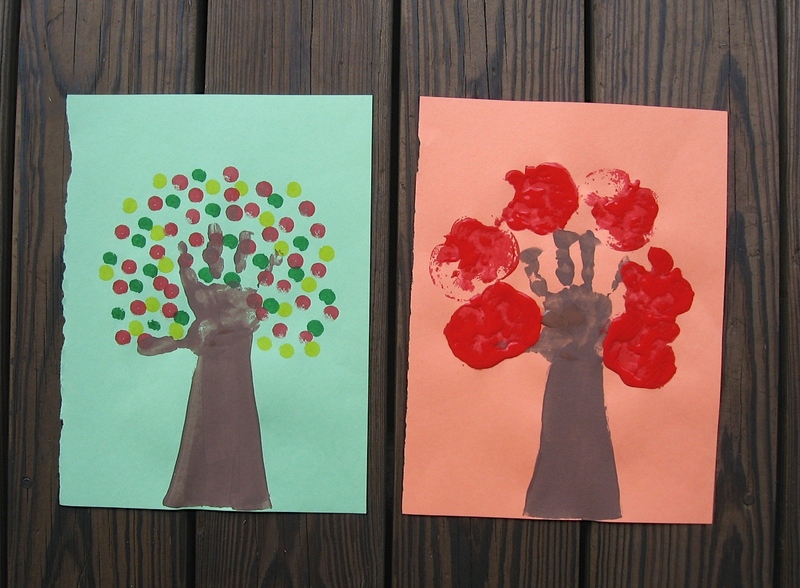 Anyway, in celebration of my favorite time of year I’m excited to share a simple fall kids craft with you today! So are you ready to get crafting? Let’s get started! 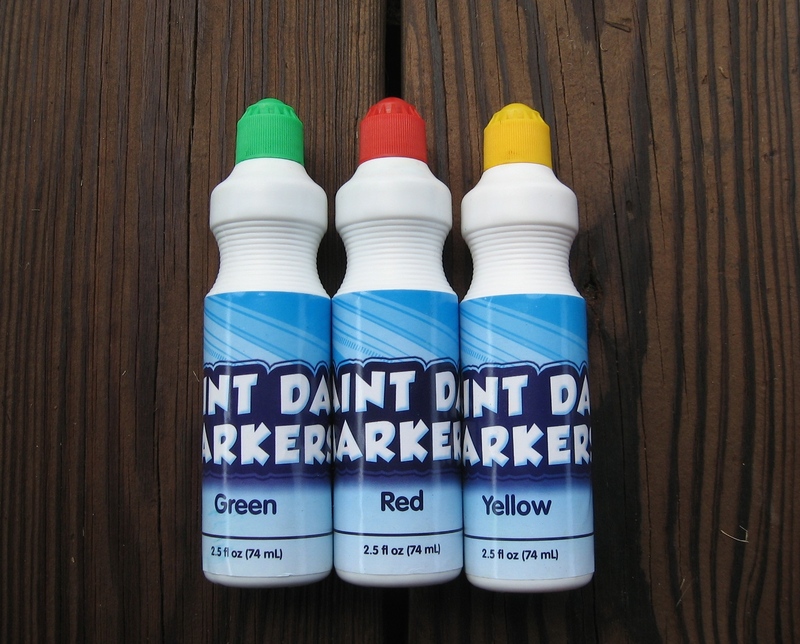 Here are the dot markers that we used. I found a set of four for $5. Walker absolutely loves it when I get these out, but I do have to remind him to be gentle otherwise he will go crazy and tear the paper up. Step 3: Paint in tree trunk with brown paint. 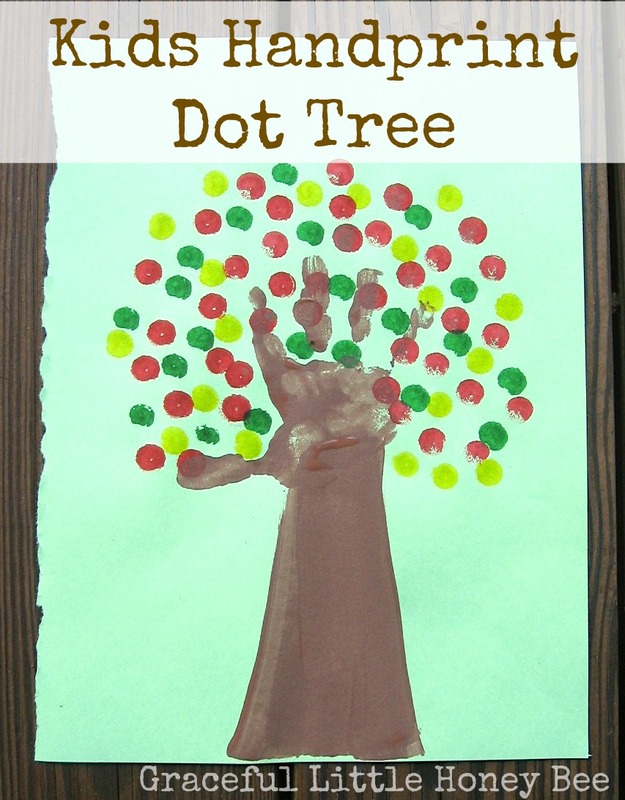 Step 4: Have child use dot markers in a circle around the handprint to make it look like the tree’s leaves. You can also dot along the bottom to make it look like the leaves are falling to the ground. Voila you are done! How easy was that? And isn’t it so adorable!?! 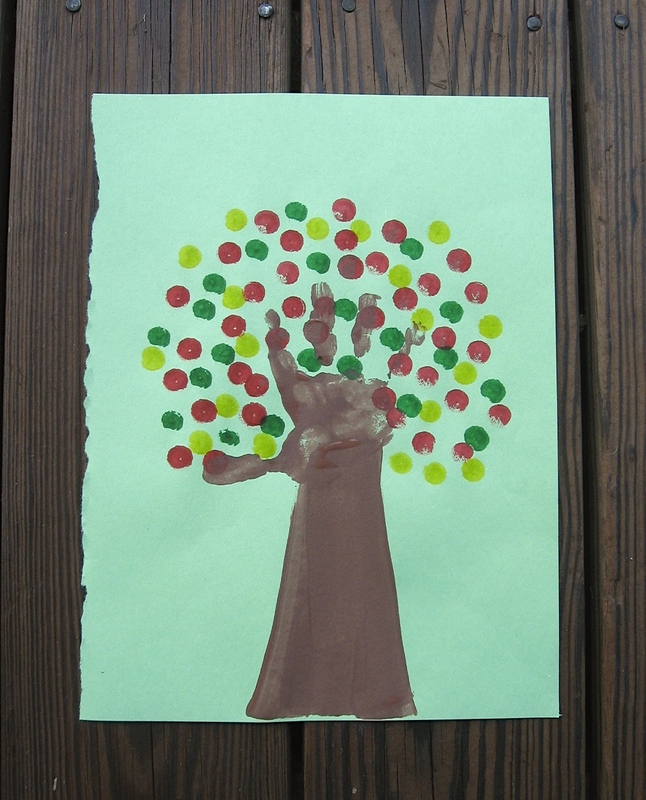 We also made another handprint tree using apple stamping. 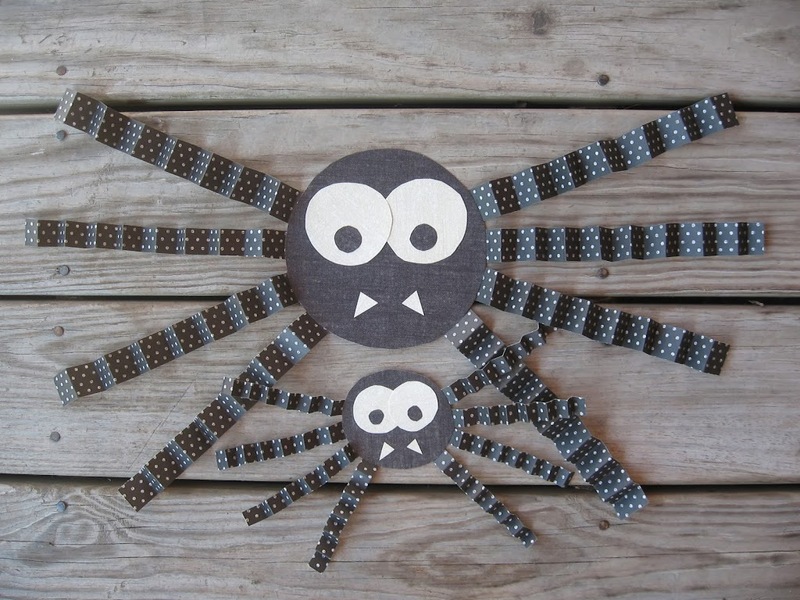 If you enjoyed this project then you may also like my mama and baby spider tutorial. Aren’t they so cute? A very cute & easy craft to make. Kids will enjoy doing it. Glad that you shared it. And I have shared it as well! Joanne, I'm so glad you enjoyed it! 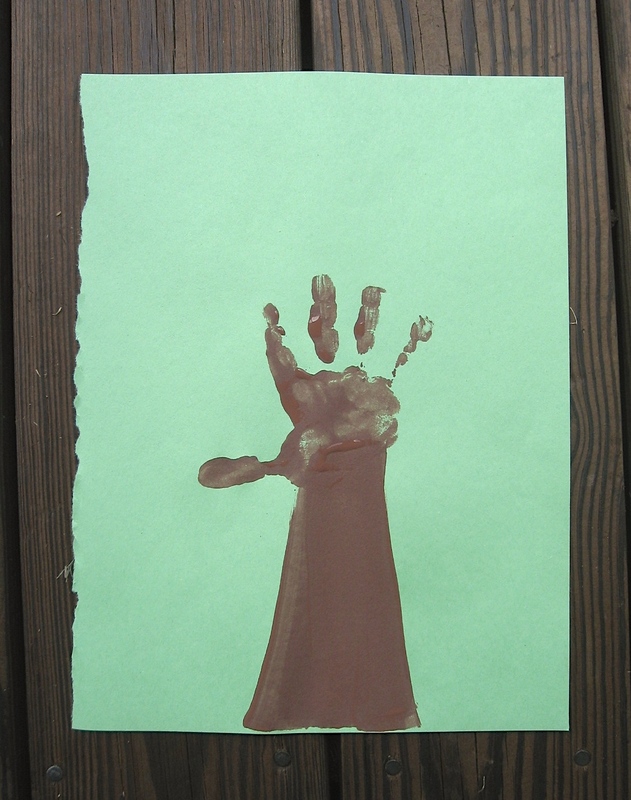 It's a fun simple craft that my little boy loved making! Have a great day!